Stay cold, hydrated and most importantly: caffeinated through the long summer days with the Hario Cold Brew Pitcher! Make cold brew coffee at home! It’s so easy, and your iced coffee will never taste watery or bitter again. 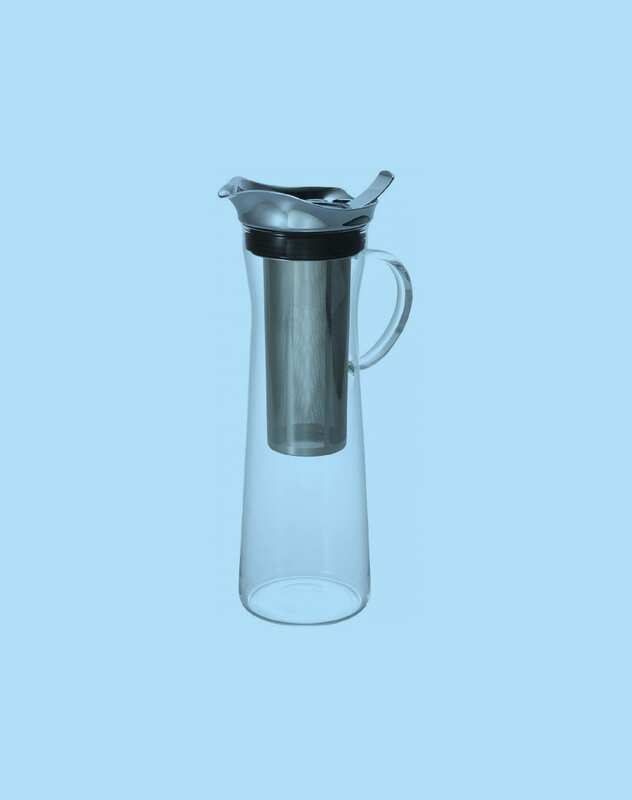 Hario Cold Brew Coffee pitcher CBC-10SV. Make lovely iced coffee by adding coffee grounds and water to the pitcher. Place coffee grounds in the strainer, and set the lid. Slowly pour cold water into the carafe until full and refrigerate for approximately 8 hours for the cold brew to complete.